Several times, Bitcoin price has been compared to other assets in order to better understand how this market could work. The market can work in a similar way to others, but it is always said that one year in a normal market are ten days for Bitcoin. And Morgan Stanley believes so. According to Morgan Stanley, Bitcoin behaves in a similar way to Nasdaq. The only difference is that bitcoin does it 15 times faster. 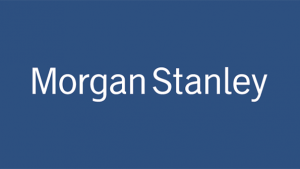 The information has been released by Morgan Stanley on Monday. The main comparison that the bank does is between Nasdaq during the dot-com bubble, 20 years ago, and Bitcoin. The most important difference between BTC and the dot-com bubble is that bitcoin timeline unfolds much faster. Both markets rallied between 250 to 280 in their most “exuberant” periods before bear markets. In the last 9 years, Bitcoin had several bear markets with important drops from the highest price reached. At the moment, Bitcoin has fallen around 70% from its $20,000 dollars peak in December 2017. At the same time, Morgan Stanley explained that there are some changes that are shaping the way Bitcoin is traded. Bitcoin has been usually bought using the U.S. dollar, the Chinese yuan and the Japanese yen. These currencies moved the most amount of money to buy Bitcoin. But now, there is a new important currency known as USDT (Tether) which has an important share of the bitcoin trading market.